More evening patrols with Operation Leviathan this weekend. 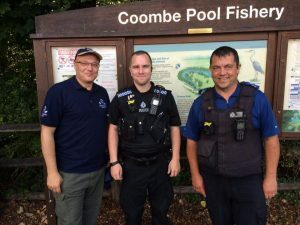 VBS and the EA were supported by police and a council partnership officer at a number of pools and sections of the River Avon in North Warwickshire on Friday night. 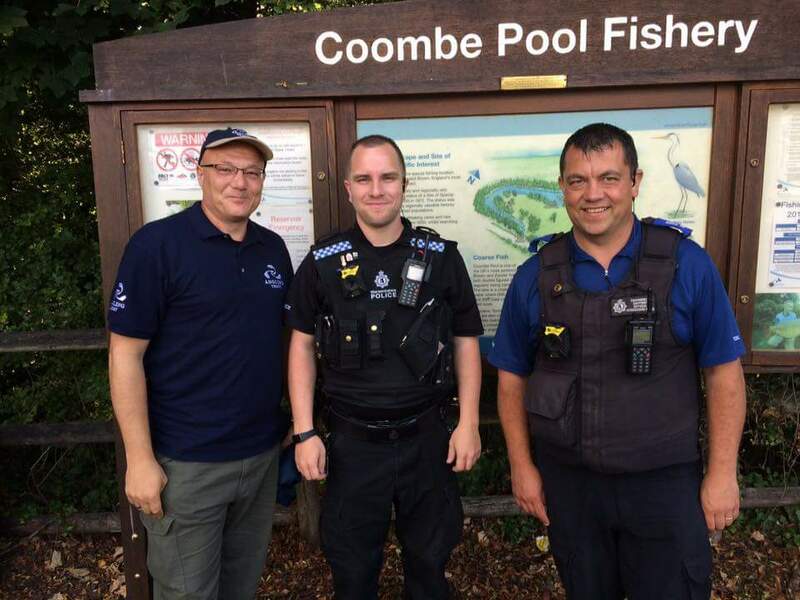 Meanwhile, VBS again worked with other EA enforcement officers on the Severn, Avon and local pools around Evesham where reports of poaching had been received. 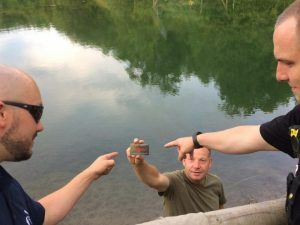 A total of 52 anglers were checked in Warwickshire of which seven were reported for not having a rod licence. Around 20-30 checked in Evesham with a further five offences of no rod licence. There were a total of 12 reported for prosecution overall. The police from Rugby took part to build a working relationship with the EA and local voluntary bailiffs to improve their knowledge of fisheries crime as part of their Wildlife and Rural crime responsibilities, whilst also checking locations as part of their normal patrol duties. They dealt with one person for driving without a licence and no insurance as he tried to leave a fishery, assisted at a road traffic collision and also sorted out an anti social behaviour problem on an estate near a lake, whilst supporting the initiative. Another example of partnership work in action to protect our fisheries!